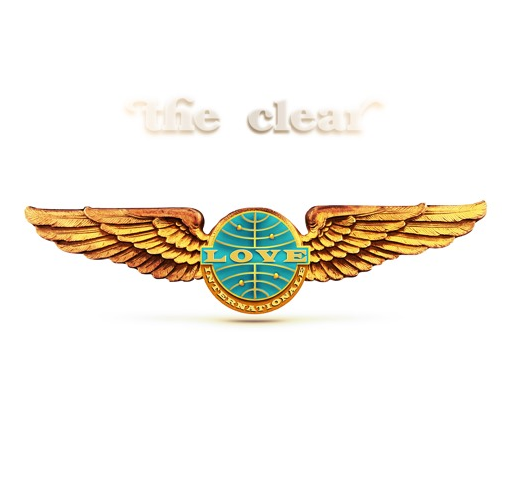 The Clear are a 3 piece band from Sheffield playing classic West Coast pop. They released the double A-side release produced by Colin Elliot (Slow Club, Richard Hawley, The Magic Numbers). The James-Bond-esque dreamy tracks are Love Internationale and The Cashier. The atmospheric Love Internationale is musically inspired by film composer Lalo Schifin (Mission Impossible Bullitt, Amityville Horror). With its tongue-in-cheek lyric, the song is about an online dating agency that comes out in a rocket-ship to rescue your love life – a kind of Thunderbirds/International Rescue dating agency. The Cashier, with its dirty-indie guitar riff tells the story of a bank teller, bored of her job, when someone comes in and robs the bank. She decides to run off with them, as she’s been thinking of doing the same for 15 years. They both get caught, but the police think she’s just the hostage, so let her go and so walks away with the money – a classic Woody Allen style bank robbery spoof.